Good newsletter and email marketing campaigns bridge consumers to the latest trends in food, fashion, technology and design. Great newsletter and email marketing campaigns are published on the cusp of culture. They respond swiftly to and take advantage of trending behaviors by incorporating them into their newsletter and email marketing content and promotional materials. So what cultural trends are newsletter and email marketing campaigns responding to in 2012? In 2011, one of the big trends in American shopping behavior was identified as “recommerce”. Recommerce is a trend fueled largely out of consumer need to stretch each dollar spent and by the subsequent recognition [by consumers] of the value that currently owned items have. In 2012, consumers are seeking to leverage that value, either by trading in for newer models or upgrades or reusing those items in creative ways to stretch their lifespan. I imagine that it is also propelled by our desire to keep up with the seemingly constant technological advancements (and feature enhancements) of products and services and the perhaps all-too-frequent next-generation releases of mobile phones and other gadgets. Excusumption: the actual need to stretch each dollar spent and the value for each dollar. 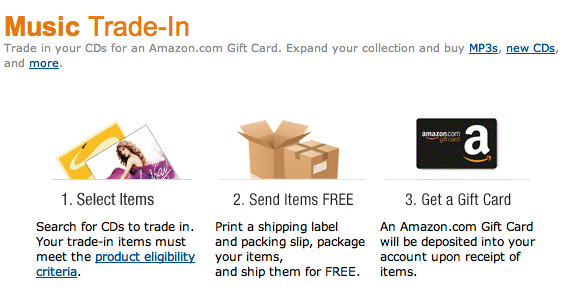 Another trend setter marketer is Amazon, who is gaining attention from customers by offering gift cards for select CDs. Of course, Amazon’s trade in program is governed by extensive terms and conditions, ensuring that everyone, and especially they, win. 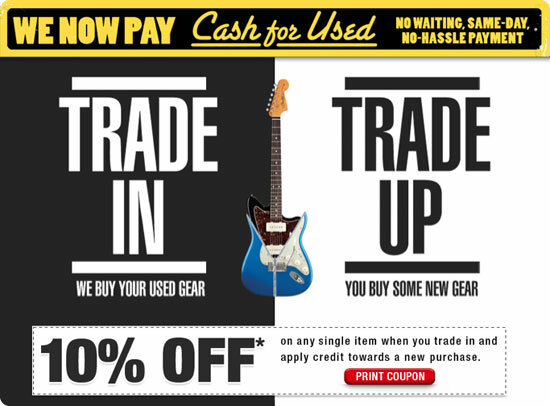 Have you been incorporating this trend in your promotions? Are you offering your customers trade in and upgrade opportunities?